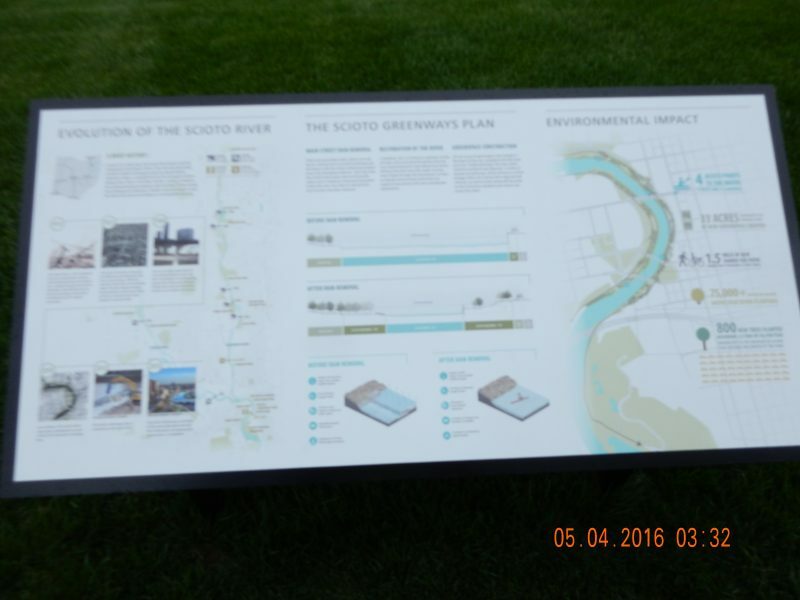 The Scioto Greenways Project, a part of the City of Columbus Scioto Mile development, is an award-winning multifaceted infrastructure and greenspace project along the banks of the Scioto River in downtown Columbus. After removal of the Main Street dam in 2013, 33 acres of new land (formerly underwater) along both sides of the river were developed into new green space/parkland. The project was completed and dedicated in November 2015. Our role was related to the 800 new trees installed. We inspected the trees at eleven nurseries, ensuring the nursery stock conformed to the ANSI (American National Standards Institute) Z60.1 Nursery Stock Standard (2014). Trees were then received to ensure proper nursery stock shipping/delivery and procedures were followed to ensure tree condition/health was satisfactory upon arrival. We trained the installation crews and directly oversaw a portion of the installations ensuring quality control and compliance with the ANSI A300 part 6 (transplanting) standard (2012). Spring of 2016 has revealed a very high survival rate for the 800 newly installed trees. On-going work with this project includes pruning and troubleshooting any specific issues that arise. The City of Columbus will officially assume care of the trees in November, 2016. Kennedy’s Arboriculture provides tree consulting services for the entire state of Ohio, including Columbus, City of Delaware, Newark, Upper Arlington, Dublin, Westerville, Gahanna & Hilliard.